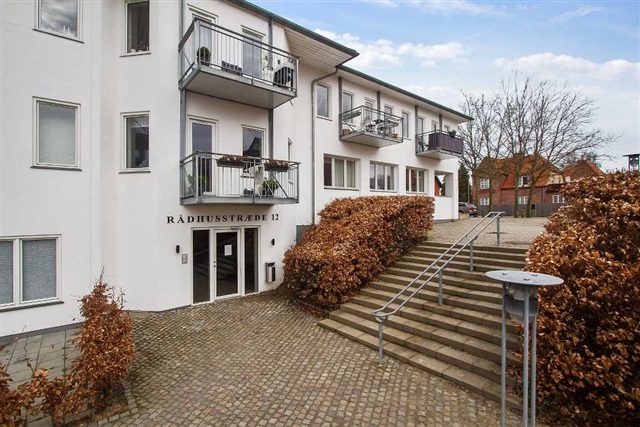 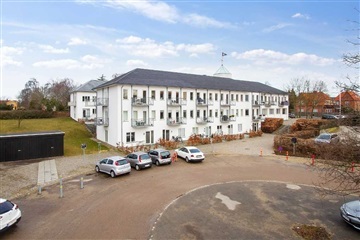 Apartment, Rådhusstræde, 3400 Hillerød, floor: 1 5. 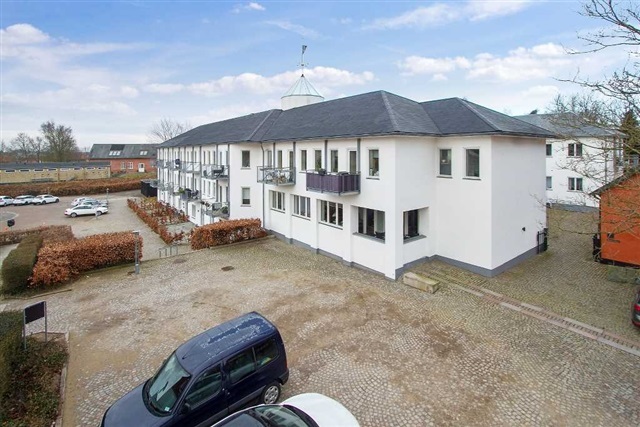 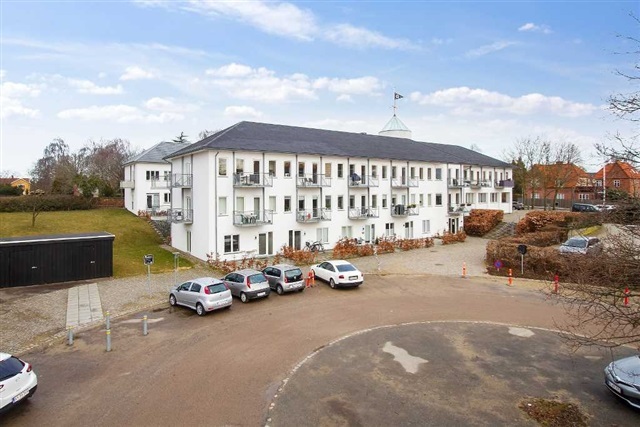 In 2014, Hillerød Municipality's former town hall was rebuilt into 30 modern rental homes, and now you have the opportunity to secure one of these. Beautiful and well appointed 3 bedroom apartment with large corner room in connection with kitchen, 2 bedrooms and spacious and nice tiled bathroom. 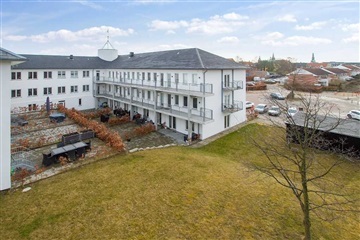 From the apartment there is a cozy look to the church office on one side and the property's common area on the opposite side. The home has everything in white goods, and there is a basement room for storage. The property has lift, cozy communal garden, bicycle parking on the ground and in the basement, parking etc. 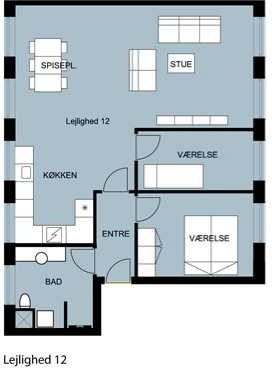 Please note that the apartment does not have fitted wardrobes.